Our Hollyhock Suites are located next to the main lodge. All of our rooms have been recently renovated and feel very open and light. 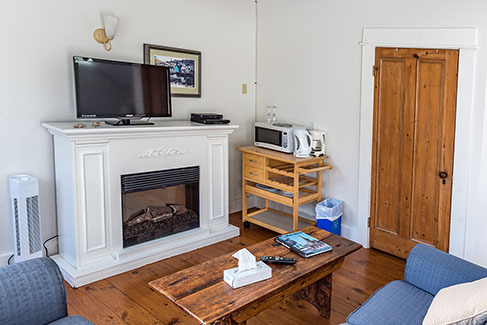 All rooms have a three piece bath, cable, flat-screen TV, WiFi, free coffee/tea, and hair dryers, library access, proximity to the beach, irons, ironing boards, board games, mini fridge etc.